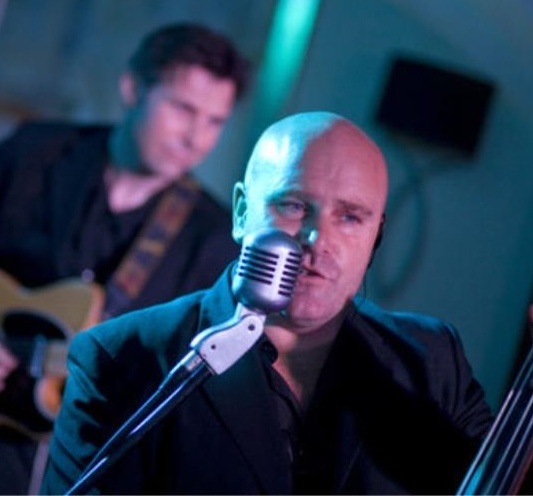 The Prohibiton Swing Band are a group of authentic hep cats who play jump jive and jazz from the Golden Age of popular song. Think Louis Armstrong, Frank Sinatra, Tony Bennett, Billie Holiday, Dean Martin, the great British Dance Bands – we just turn up, set up and swing! Recent gigs include Glastonbury Festival, Bestival, Ronnie Scott’s, The Royal Albert Hall, The Royal Festival Hall, The Concorde Club, Cheltenham Jazz Festival, Marlborough International Jazz Festival, The Storyville Club Helsinki – and more. We’ve also been featured in session on BBC Radio 2. 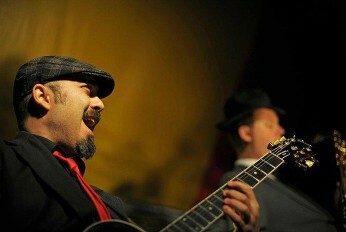 Why hire 1920s PROHIBITION SWING BAND Band? With may years of performance experience at Weddings, wedding receptions, festivals, launch events, funerals, ceremonies, anniversaries, parties, and many other special occasions. 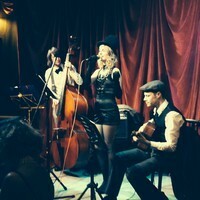 1920s PROHIBITION SWING BAND are an ideal act if you are looking for an affordable live band. Like all of our artists they are professional, have all the relevant insurances and are always happy to chat to you about song requests and even DJ options after the performance. Many acts can provide background music throughout a dinner or lunch as well as provide the evening up beat entertainment too. 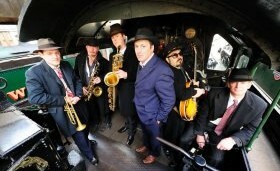 Where can we book 1920s PROHIBITION SWING BAND? 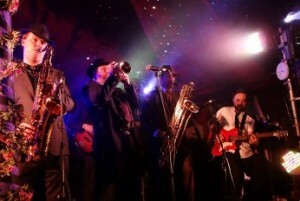 1920s PROHIBITION SWING BAND can be booked throughout the UK in most towns and counties within reason. Please contact us via the booking form below for further information. The post BUSKING BANDS | BEST ROAMING BANDS FOR HIRE appeared first on . The post FIND AWESOME LIVE WEDDING AND WEDDING ENTERTAINMENT IDEAS appeared first on . The post Cost of Wedding bands appeared first on .